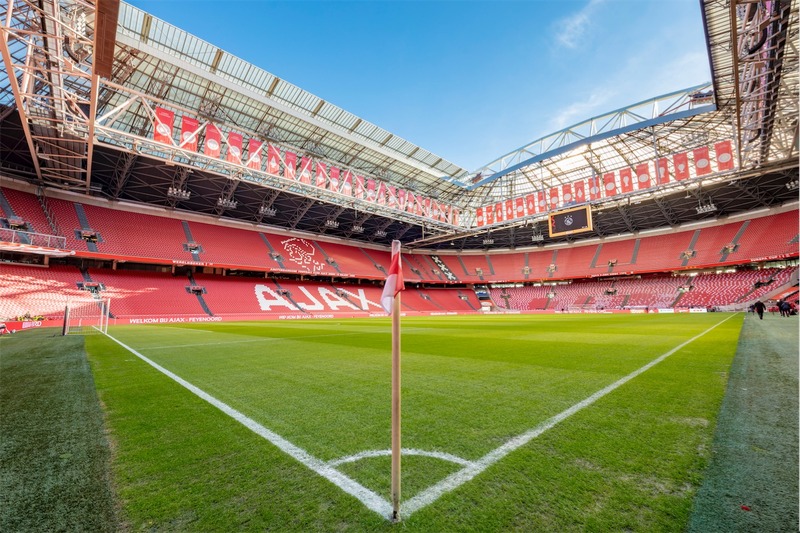 The Johan Cruijff ArenA and the KNVB, the Royal Dutch Football Association, are investigating whether the high-tech system that monitors the turf of the ArenA is suitable to serve as a basis for other clubs in Dutch professional football. The KNVB has already deployed the monitoring system on the training fields of the Dutch national team in Zeist. The smart turf monitoring system in the Johan Cruijff ArenA is unique in the world. 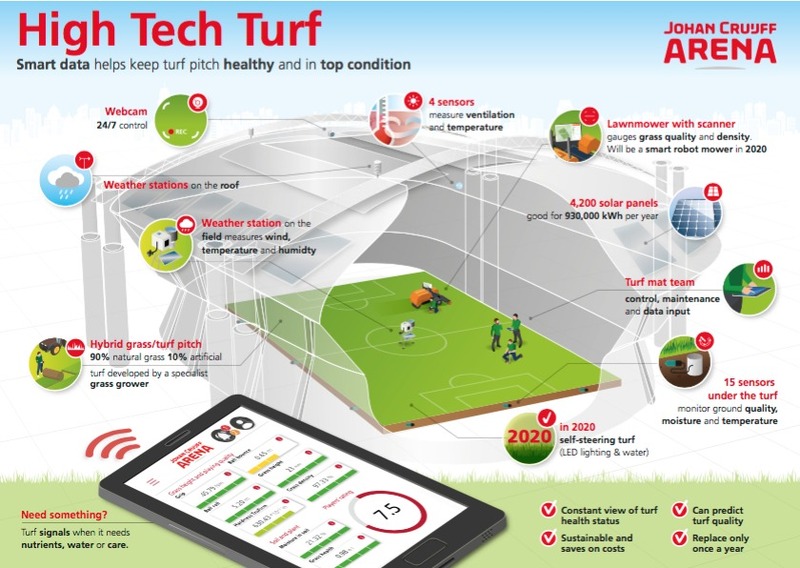 With data produced by special sensors in the turf and measurements taken by the grass team, the system monitors the health and quality of the pitch 24/7. A dashboard shows the experts exactly when the turf needs feeding, light or water. 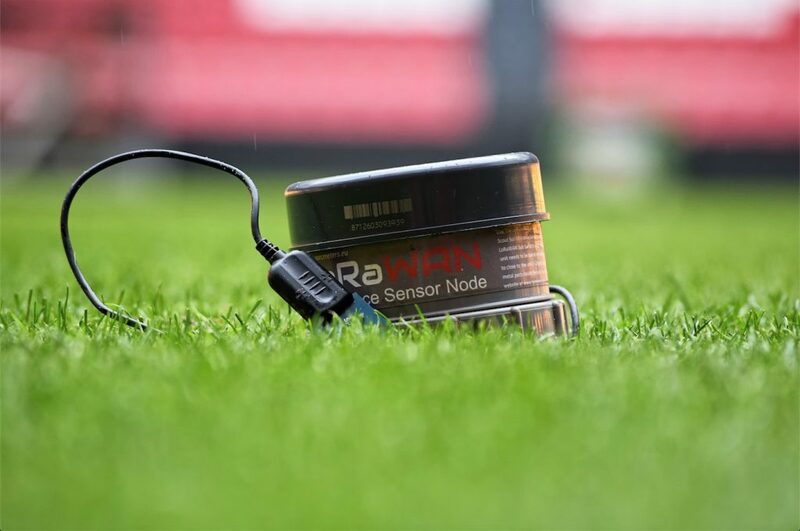 In collaboration with Wageningen University & Research, the KNVB wants to see if the monitoring system can help professional football clubs optimise their pitches. Better, up-to-date insight into the status of the grass can improve its quality, just like it has in the ArenA. 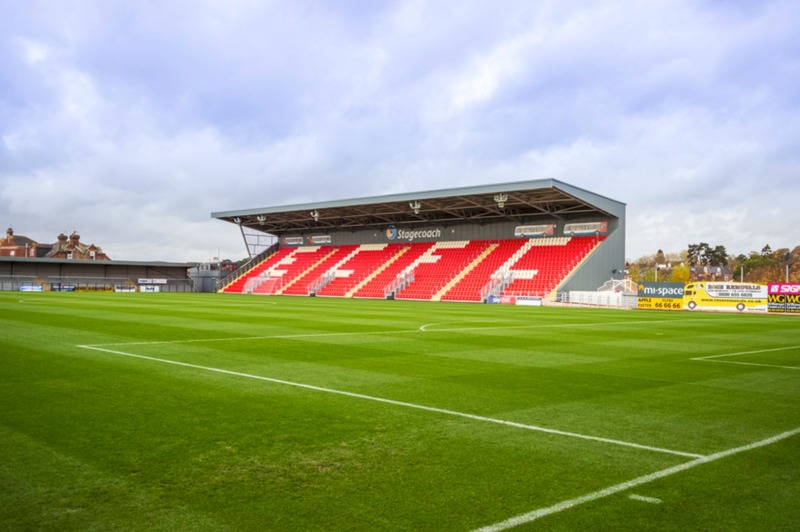 The data can even be used to predict the state of the pitch in a week’s time. The system saves on costs and prevents waste of resources. It ensures that not too much water, fertilizer or light is used and requires few maintenance hours. The research is funded partly by a subsidy from the Sportinnovator program, set up by the Ministry of Health, Welfare and Sport. The goal of Sportinnovator is to increase the efficiency of knowledge and innovation in sport. 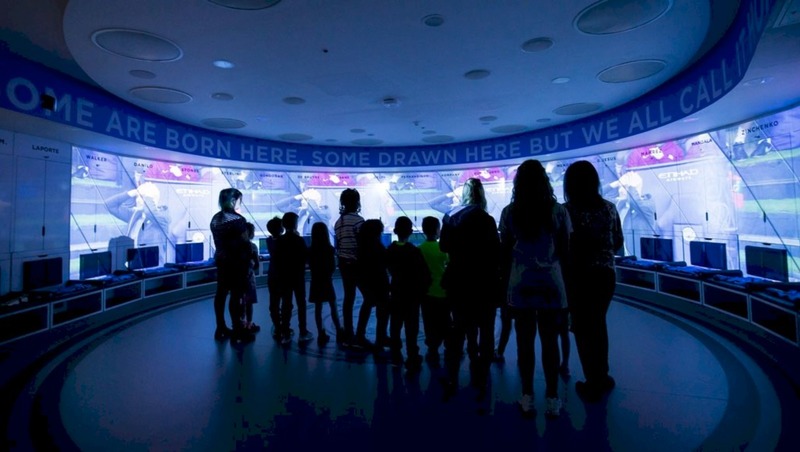 The KNVB and the Johan Cruijff ArenA are doing this together through the collaboration between the two organisations in the field of innovation. Together they want to make further improvements to quality and the visitor experience in stadiums such as the ArenA. All data derived from the sensors and the grass team measurements get processed for display in a dashboard. The dashboard monitors the health of the pitch and can indicate when it is necessary to maintain or improve grass quality. The dashboard tracks the state of the field in real time. The grass team maintains the pitch of the Johan Cruijff ArenA seven days a week. Using the dashboard, they can set ideal climate conditions for the grass. Measurements include temperature, humidity and air flow in the stadium to determine whether the grass can grow well. There is a lot of international interest in the high-tech pitch in the Johan Cruijff ArenA. Representatives from foreign football stadiums including UEFA EURO 2020 host stadiums regularly visit to learn from the knowledge and expertise of the ArenA’s turf specialists and unique monitoring system. The mission of Wageningen University & Research is ‘To explore the potential of nature to improve the quality of life’. Within Wageningen University & Research, Wageningen University and specialised research institutes of Wageningen Research Foundation bundle their strengths to contribute to the solution of important questions in the domain of healthy nutrition and living environment. With approximately locations, 5,000 employees and 10,000 students, Wageningen University & Research is one of the most appealing knowledge institutions in its domain worldwide. The comprehensive approach of questions and the collaboration between the different are at the heart of the unique Wageningen approach. The Johan Cruijff ArenA is the national football stadium of the Netherlands, home to AFC Ajax and a match stadium for the Dutch national team. It also offers multifunctional accommodation for large-scale, national and international music and dance events as well as meetings on a smaller scale in (mainly) the business segment. Events take place in close collaboration with various partners. High-quality services, state-of-the-art facilities, safety and optimal form the most important strategic pillars. 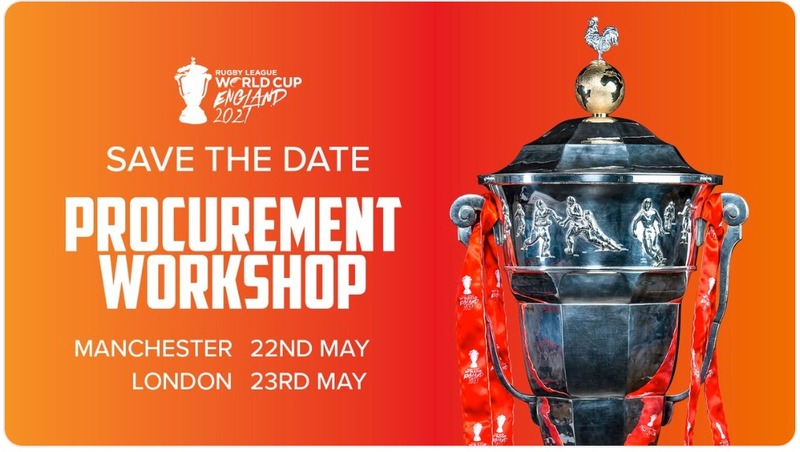 Sports Venue Business will be at Johan Cruijff ArenA this May, 20-22, attending the World Stadium Congress, for which we are an Official Media Partner. CEO, Katie McIntyre, and Production Director, Noel Director, will be on hand to film video interviews with attendees and speakers, to hear their thoughts on the latest trends and news on the latest developments.